Alright you fans of Soviet and Russian military aviation, Linden Hill has released another nice set of markings, this time to commemorate the 100th Anniversary of the Russian Air Force celebration at Zhukovsky AB. 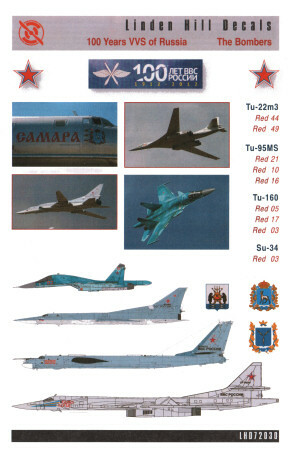 This set covers nine bombers and strike aircraft. The instructions provide good color and paint information ro replicate these various color patterns. 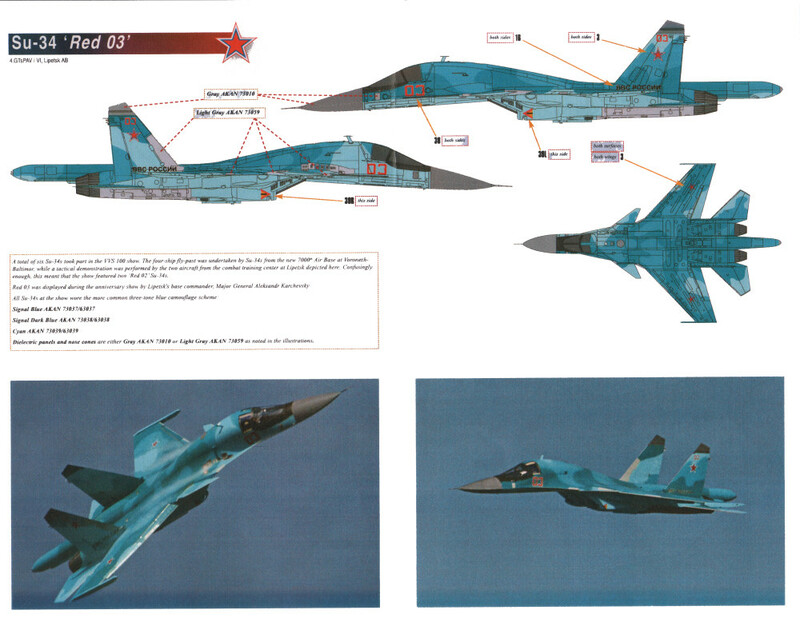 Linden Hill has produced another nice set of markings and really provide some excellent subjects from the modern Russian Air Force. 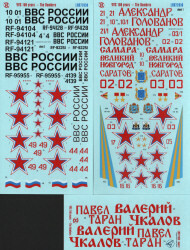 This decal set will definitely give you some great alternatives so your aircraft won't look 'out of the box'. Linden Hill Decals can be purchased directly from their website at http://www.lindenhillimports.com/. My sincere thanks to Linden Hill Decals for this review sample!